The Black Conservative: UK Black Conservative MP - "I will vote against the Government’s EU Withdrawal Agreement." UK Black Conservative MP - "I will vote against the Government’s EU Withdrawal Agreement." 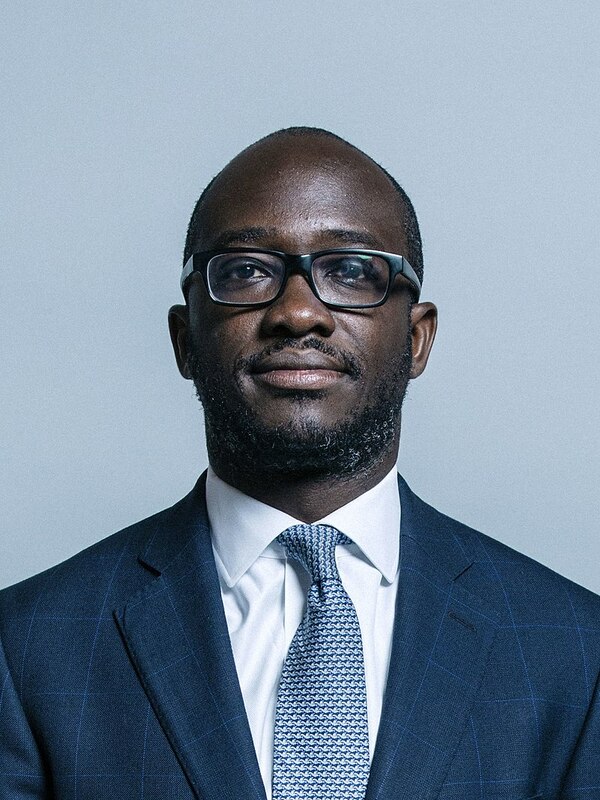 Sam Gyimah has tended his resignation as Universities and Science Minister -- he writes a letter explaining why will vote against the Government’s EU Withdrawal Agreement. After careful consideration and reflection, I cannot support the Government’s deal and as such, I have tended my resignation as Universities and Science Minister. I will continue to work hard for East Surrey from the backbenches and push for a deal that is right for the whole country that will help us all prosper. The government is finally pulling out of frustrating negotiations over Galileo, the EU’s strategic Satellite Navigation system. The PM is right to call time on a negotiation that was stacked against us from the very beginning. But Galileo is only a foretaste of what’s to come under the Government’s Brexit deal. Having surrendered our voice, our vote and our veto, we will have to rely on the ‘best endeavours’ of the EU to strike a final agreement that works in our national interest. As Minister with the responsibility for space technology I have seen first-hand the EU stack the deck against us time and time again, even while the ink was drying on the transition deal. Galileo is a clarion call that it will be ‘EU first’, and to think otherwise – whether you are a leaver or remainer - is at best incredibly naïve. To be fair, the Government’s Brexit deal has been hard won. But at its heart, all the big decisions in the Political Declaration that will shape our future in Europe, and the world, are yet to be agreed. Where we set the balance between an independent trade policy and frictionless trade, high market access and freedom of movement, fisheries, agriculture, and the all-important Northern Ireland question are just some of the big issues still in play. It is a deal in name only. And we will be relying on the good faith of the EU to deliver the bespoke deal we have been led to expect. There is a mountain to climb, and we are still in the foothills. Under the deal we will have only two, at most four, years to agree at least five times what has been settled to date. With so much left to negotiate, we must take a clear-eyed view on the strength of our position. So far, the EU has been able to set the timetable, the sequencing and the hurdles to be cleared at each stage of Brexit, limiting our room for manoeuvre. They have the luxury of time - we need to conclude a deal because the Northern Ireland backstop is our existential issue, not theirs. And the clock is ticking to the next General Election. All of this points to an off-the-shelf deal dictated by the EU that will be materially worse for my constituents in East Surrey than staying in. In these protracted negotiations our interests will be repeatedly and permanently hammered by the EU27 for many years to come. Britain will end up worse off, transformed from rule makers into rule takers. At the end of these negotiations, Britain will not be standing side-by-side with our European partners as equals. Even in programmes where we have agreement, we will be outside the room when key decisions affecting our future and prosperity are made. It is a democratic deficit and a loss of sovereignty the public will rightly never accept. These negotiations are as much about our future trading relationship with Europe as they are about our security, foreign policy and power and influence in the world. We are an island nation, and for the last 350 years have managed all aspects of our relationship with our immediate neighbours to meet our need to have a preeminent place in Europe. While we must be mindful of giving business the certainty they need, we must ensure the constitutional treaty we end up with stands the test of time. So, what is being presented to the public as a sensible compromise Brexit deal, a 52/48 Brexit as some call it, will not bring closure or heal the divisions of Brexit. In the fullness of time, the public will wake up to what this so-called deal entails; neither leave nor remain voters will be pleased with a deal that leaves us poorer, less secure and weaker in the pursuit of our national interests. What is the alternative, I hear people say? Sometimes it seems our horizons have been narrowed and our expectations lowered to the point where potentially crippling ourselves politically and economically for decades to come is seen as a success we should welcome. There are alternatives that we have ruled out through our own red lines that need to be considered seriously. Even if this means extending the Article 50 deadline. The decision before us is irreversible, which is why an increasing number of MPs are demanding we explore the options from every angle. And we shouldn’t dismiss out of hand the idea of asking the people again what future they want, as we all now have a better understanding of the potential paths before us. I voted remain, but at all times since the referendum I have endeavoured to reflect the fact that before we are remainers or leavers, we are British. The results in my constituency were in line with the national vote; over the last few weeks I have received hundreds of emails and phones calls from constituents on the deal, the overwhelming majority urging me to vote against it. It has become increasingly clear to me that the proposed deal is not in the British national interest, and that to vote for this deal is to set ourselves up for failure. We will be losing, not taking control of our national destiny. It was therefore with deep regret that I have tendered my resignation as the Universities, Science, Research and Innovation Minister – certainly one of the best jobs in government. Innovation, scientific endeavour and our universities represent the best of Britain, underpin our economic fortunes and are central to our place in the world. It has been a pleasure and honour to serve these extraordinary communities. The grit and determination demonstrated by the Prime Minister should be an inspiration to us all. I am saddened, as an early and vocal backer of her leadership, to have reached a cross-roads where I cannot support her on this crucial issue.